This is a Draco Malfoy fansite, hosted by slytherins.com. This website also lists the fans from around the world who love Draco and his physical appearance. Are you a Draco fan? Are you a fan of his appearance? Then get yourself listed! Navigation is to your right. :) The Draco fanlisting was previously owned by Katie of the former creative-escape.org, but, her member database information was lost, so if you were a member of the previous fanlisting, please re-join. This site has no affiliation with J.K. Rowling, anyone involved with the Harry Potter books or films, or the actor Tom Felton. 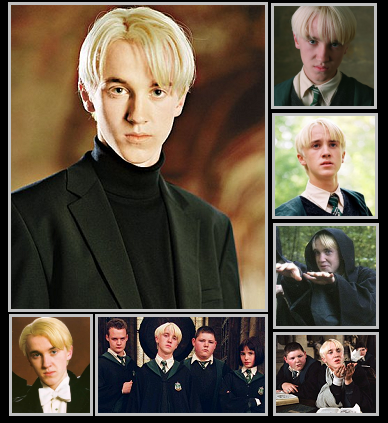 This is just a fansite made by fans & listings fans, devoted to the character Draco Malfoy.